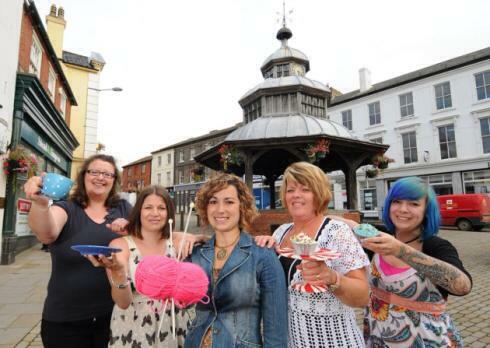 Rock (buns) & Rolling (pins) WI - North Walsham Guide is created in North Walsham for North Walsham. Rock (buns) & Rolling (pins) WI is a vibrant new generation WI group with the aim of bringing women from North Walsham?áand surrounding areas together to craft, natter, have fun and a cocktail or two. If you want to meet like minded women, share ideas, learn new things, have a laugh, enjoy a drink and eat yummy cake at least once every month come along to one of our meetings or get in touch. We meet on the third Wednesday of each month (except in December, when the meeting is held on the 2nd Wednesday of the month) at the Kings Arms pub in North Walsham in their upstairs lounge at 7pm. Membership is ?ú34.70 per year (January- December). Visitors are always welcome (?ú4 per meeting).